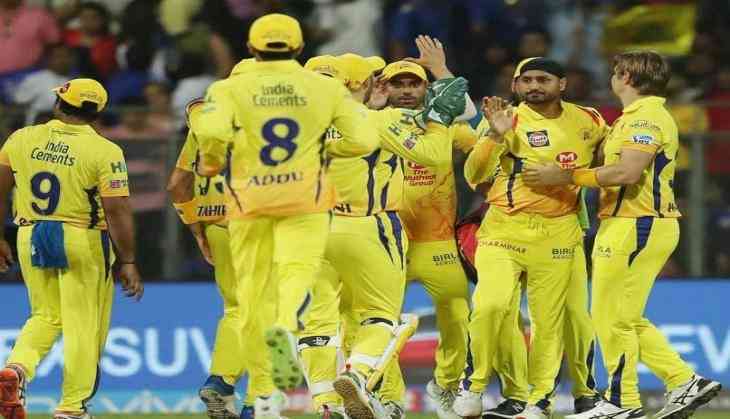 It turned out to be game-changer as Chennai Super Kings won their third match of the season with an eight-run defeat of Rajasthan Royals, here Sunday. The pitch used in the previous match was a rank turner here but on Sunday it turned to be a different challenge for the batsmen since it was not conducive for stroke-play as the ball was stopping a bit. Dhoni paced his innings beautifully, scoring unbeaten 75 off 46 balls to lead his side to a competitive 175 for five, seizing momentum from Royals bowlers who were off to an inspiring start. The Royals needed someone to play a Dhoni-like innings but none took that responsibility and they could manage 167 for 8, suffering their third defeat in as many matches. Ben Stokes and Jofra Archer took the chase deep with their fiery 44-run stand but Dwayne Bravo bowled a brilliant last over, defending 12 runs that Royals needed to score to claim the win. Dhoni used his vast experience to read the conditions and mostly worked the ball around to keep the scoreboard ticking. Whenever he got the chance, he opened his arms and hit four fours and as many sixes. Dhoni and Suresh Raina (36) added 61 runs for the fourth wicket, pushing the ball around and later the former India skipper raised a 56-run stand with West Indies' Dwayne Bravo, who added quick 27 runs. Royals were disciplined throughout but pacer Jaydev Unadkat (1/54) conceded 28 runs in the final over with Dhoni finding three of his four sixes in that over after Ravindra Jadeja (8) lofted the paceman for a maximum. The Royals innings went the CSK way as they struggled in Powerplay overs and lost top three batsmen. Steve Smith (28) and Rahul Tripathi (3) steadied the innings with their 61-run partnership for the fourth wicket but spinner Imran Tahir sent them back in an excellent spell to make it difficult for the visitors. Stokes (46 off 26) was still at the crease when Royals needed 44 from last three overs. Stokes and Archer collected 19 runs from Bravo's overtaking the equation to 25 from 12. It came down to 12 from last six balls and Bravo made up for that expensive over by having Stokes caught in the first ball. The West Indian all-rounder conceded just three runs by bowling quick to ensure CSK end on the right side of the result. Earlier, the Royals pace trio of Archer (2/17), Dhawal Kulkarni (1/37) and Stokes kept the CSK batsmen on a tight leash in the powerplay overs. They conceded just 29 runs and also got rid of three top-order batsmen. Each of them accounted for one CSK batsman, bringing experienced Dhoni and Raina together at the crease. The runs came in singles with spinners Shreyas Gopal and Krishnappa Gowtham maintaining the pressure with tight line and length. The ball stopped a bit, especially when Gopal operated, making stroke-making even more difficult. At the half-way mark, CSK out on board just 55 runs and only seven boundaries were struck. Raina meanwhile hit a massive six off Gopal but the two spinners did well to concede 37 runs while bowling in tandem for five overs. In came Unadkat and went for a few runs but broke the stand by castling Raina with quick delivery. Raina missed the line and Unadkat hit the stumps.